Cairns Historical Society’s photographs manager, Pauline O’Keeffe, has been working on a WWI exhibition called “In Times of War: FNQ Remembers WWI”. The goal of exhibition is to present stories about Far North Queensland, and the impact war had on the local community, rather than focus on battles in the international arena. “In Times of War’ is based around the Cairns Historical Society’s significant photographic collection. It will showcase more than 150 images of enlisting men, enlistment posters, war based events like enlistment march, Kanowna expedition, Red Cross, community involvement and the region at that time together with explanatory documentation. The exhibition opens on Friday April 4 in Tank 4 at the Tank Arts Centre in Cairns and runs until April 27. The opening will include a performance by the Tropical Brass Band and a theatrical presentation by local artist Sue Hayes based on the enlistment process. 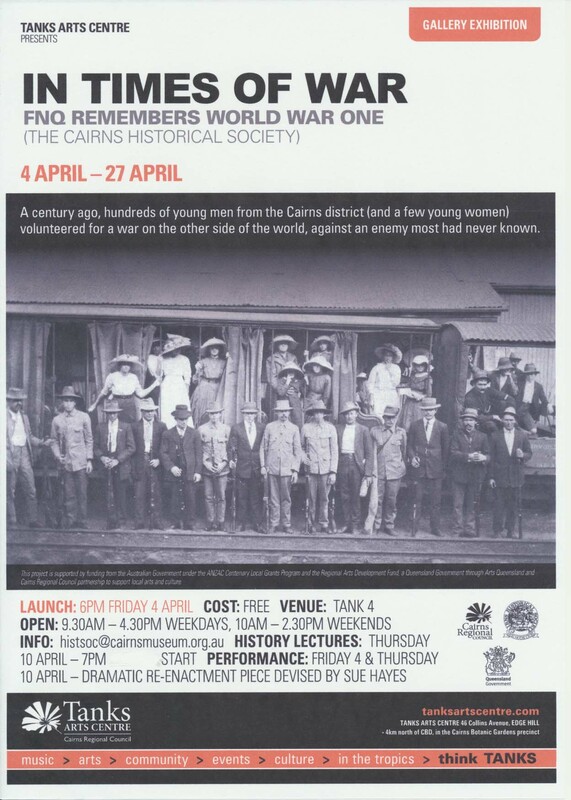 The theatrical presentation will be rerun on Thursday 10 April when the Society will also run a lecture night and present papers on FNQ related WW1 topics. 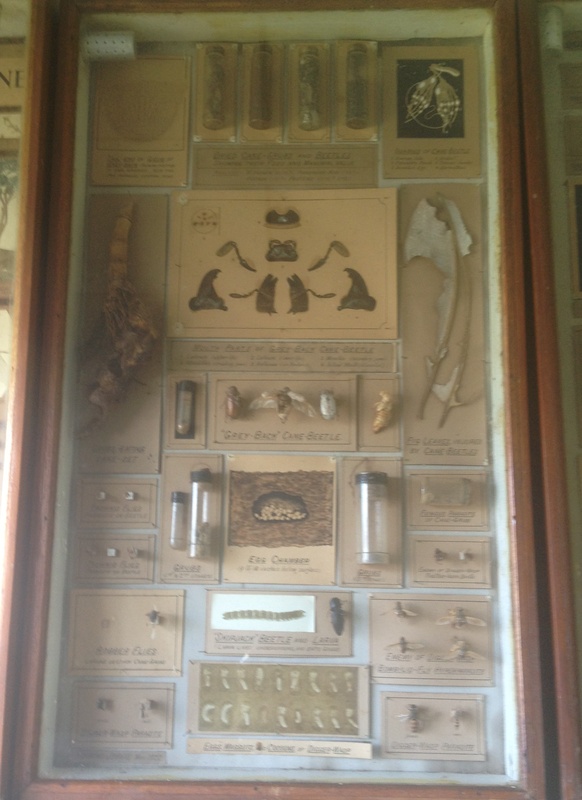 Pauline, a long term volunteer with the Society, has undertaken significant research to put this project together. Her findings, which include a gap in collections and knowledge about the impact of the war in regional communities, means she believes the Anzac centenary period offers communities a chance to build upon this research and leave a legacy of new knowledge for future generations. This project is supported by funding from the Australian Government under the Anzac Centenary Local Grants Program and by the Regional Arts Development Fund through Arts Queensland and Cairns Regional Council partnering to support local arts and culture. For those of you not familiar with Cairns’ Chinese heritage, here is a chance for a sneak peak into CADCAI’s (Cairns and District Chinese Association Inc) collection rooms and activities. Recently, four volunteers from CADCAI – Julie, Jackie, Ann and Emma – participated in a video making workshop run by ABC Open in Cairns. 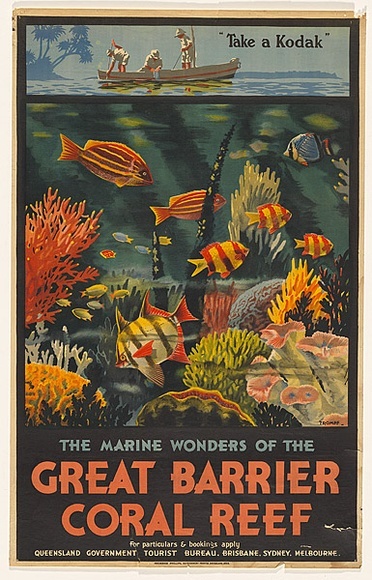 Over two days they scripted, filmed and produced a short promotional clip designed to entice visitors to their rooms in Cairns. Their production showcases the region’s Chinese history and promotes the work they do to preserve the remarkable Lit Sung Goong Temple Collection. Salvaged by members of the Cairns Temple Society in 1964, this rare and beautiful collection comprises more than 250 individual objects. The Lit Sung Goong Temple Collection is representative of late 19th century Southern Chinse religious artefact production and is one of the most complete and virtually intact collections of Imperial Chinese temple fittings in Australia. Museum workers and volunteers from a range of FNQ museums have been involved in three different workshops over the past six weeks. Workshops offer participants an opportunity to acquire new skills so that they can care for and promote their collections and museums. But it’s important not to overlook the social value of these training sessions and to acknowledge how they reinvigorate the region’s industry and the people who work in it. The three workshops held were designed to improve museum skills in exhibitions planning, collection management software and timber conservation. Each workshop has been a stand alone event that has been delivered by a different presenter or company. FNQ MDO Dr Jo Wills delivered the exhibitions planning workshop through Heritage North in Cairns. Representatives from eight different groups from around the Tablelands, Cairns and Innisfail region participated. Innisfail Historical Society members and Douglas Shire Historical Society representatives, for example, discovered that their collections both hold material related to the Low Isles expedition, and so can share knowledge and resources. Collections management training for organisations using MOSAiC software was run by the MOSAiC team, Rew and Sally-Anne Whittington, in Cairns. There is now a local network of organisations using this software that can help each other out if they get into difficulties, including two Aboriginal collecting organisations at Kowanyama and Yarrabah. 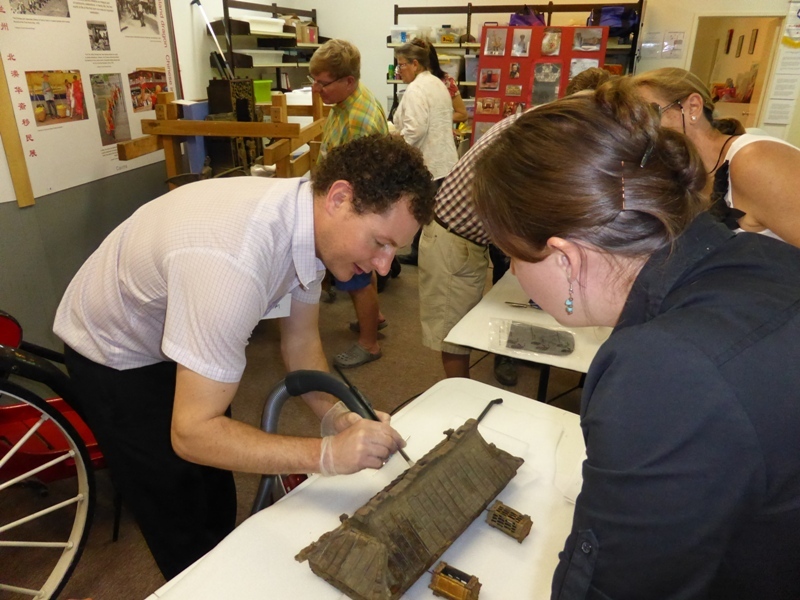 Adam Godijn, Senior Paintings Conservator at ICS, demonstrates during a timber conservation workshop held at the Cairns and District Chinese Association Inc. Timber conservation workshops were held at CADCAI to conserve some of the nationally significant Lit Sung Goong Temple collection. 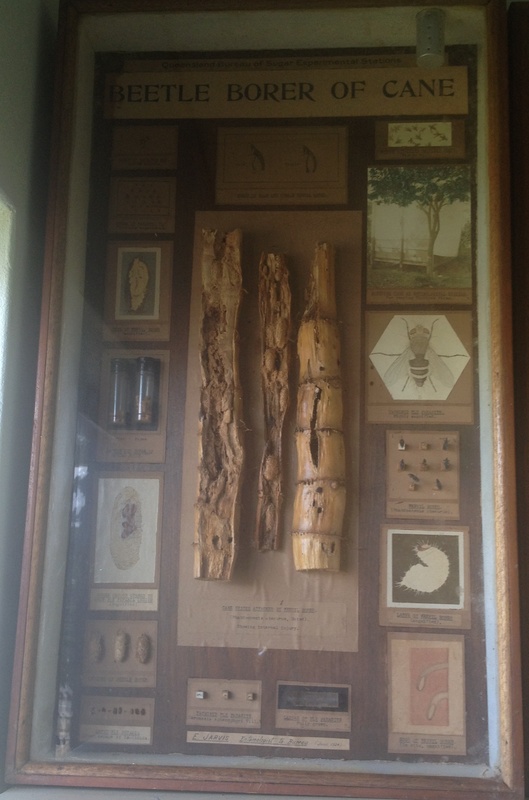 The workshops were funded through the National Library of Australia’s Community Heritage Grant stream and included bringing two professional conservators from International Conservation Services, Adam Godijn and Oliver Hull, to work on the collection and run a timber preservation workshop. By opening up this training to other collecting groups, CADCAI have offered another workshop and networking opportunity for museum workers in the far north, including Cairns Museum and James Cook Museum in Cooktown. 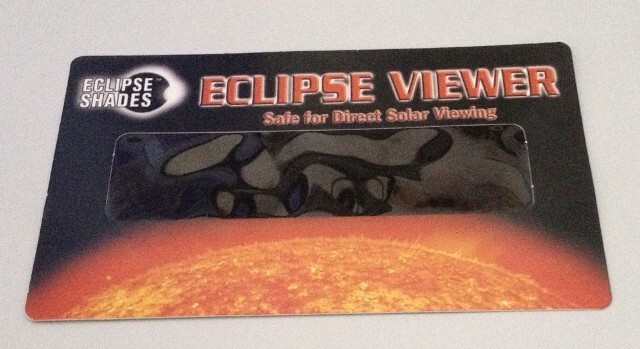 Sales of eclipse viewing shades and glasses have skyrocketed in FNQ over the last week or so. 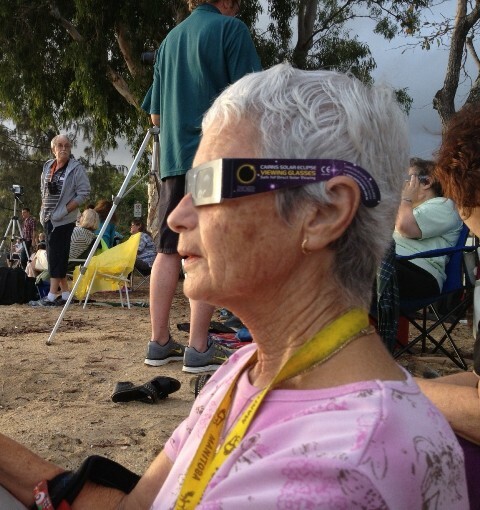 And, for about half an hour this morning, those without them would have been cursing themselves for not being able to witness the spectacle of a total solar eclipse. 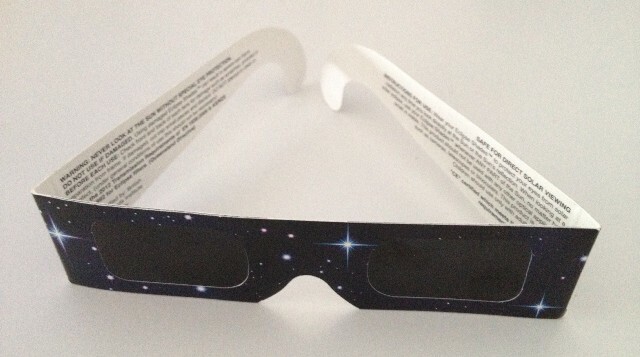 How can we, or should we, collect material from this major event and integrate it into our museum collections? Does it fit within our understanding of tourism, of entertainment, of revelling, or of stargazing over the years? Can we document how local people celebrated the event or collect from the various festivals that have been held? 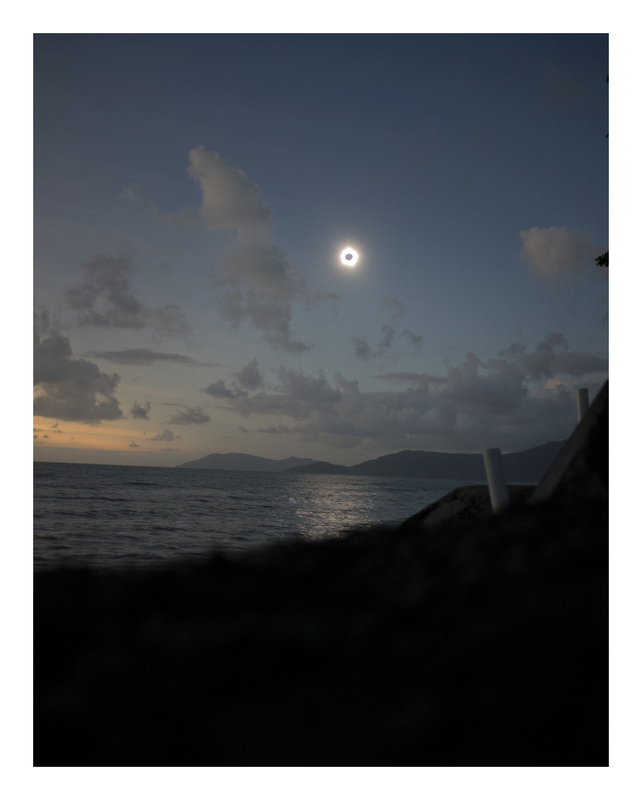 And can we capture, through photographic and intangible culture, the “being there” moment, that collective gasp we all took as the moon finally slid over the sun, when the light dimmed, the temperature dropped and when the birds went suddenly silent?